When I heard that Jin Yong’s Wuxia classic “The Condor Heroes” was being published in English, (translated by Anna Holmwood, and first volume released earlier this year), I was delighted. As a Chinese cultural commentator, I was happy to read the articles that this publication had generated, even by the old white academics who seem to have recently discovered the existence of Wuxia. One article however, did leave me mulling the content. In its use of journalistic shorthand, Vanessa Thorpe’s article in The Guardian a few weeks ago, described Jin Yong as being “China’s Tolkien”. Whilst I understand the reasoning for this, I feel that she’s missed the mark. In terms of story, character, genre, not to mention cultural significance, the world of “Condor Heroes” can be more appropriately described as China’s Star Wars. 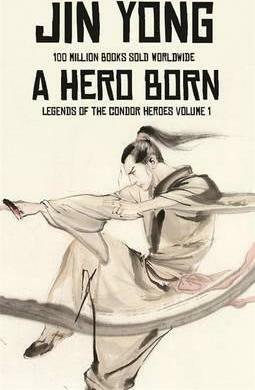 Like Star Wars, the Condor Heroes saga spans generations, with the first two volumes “The Condor Heroes”, centering on the story of the legendary archer Guo Jing, and the other two volumes, the “Return of the Condor Heroes” focus on the life of Yang Guo. 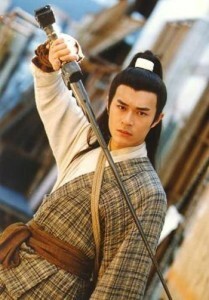 Guo Jing’s ward, and son of his sworn brother. Both heroes are followed from an early age, and though not related by blood in the manner of Anakin and Luke Skywalker, Guo Jing provides a father figure for the orphaned Yang. Other members of the Wulin community give us continuity across both generations’ adventures, some spanning both heroes’ lives, such as the “Seven Freaks of Jiang Nan” and the “Five Greats”, whilst others spawn the next generation, such as Genghis Khan and his descendant Mongolian princes, who embody cross-generational changes in tension and dynamics between different groups. Like Star Wars, Jin Yong’s world features protagonists that seem unlikely heroes from their humble beginnings. Where Anakin Skywalker began life born into slavery on the remote planet of Tatooine, Guo Jing grew up as a fatherless serf at the mercy of his patrons in the court of Genghis Khan. A slow learner, he was the clumsy child laughed at and tolerated rather than admired by his peers. Through his steadfast efforts, he would, one day, rise to master the pinnacles of Wushu fighting, win the trust and respect of all conflicting parties in Jiang Hu, and the love of the most beautiful and intelligent woman in the community, Huang Rong. Where Luke Skywalker was spared the burden of his fallen father’s attention, and the ire of those broken by the Empire, Yang Guo was an outcast who survived by his wits and daring, though despised by people around him for his father’s sins, and for his own proud and unruly behaviour (not so far away from young Skywalker’s cocksure brashness). A quick and determined learner of Wushu, Yang grew to gain the friendship of many hermit masters who found in him a kindred spirit, including the love of his life, Xiao Long Nü. Eventually both heroes would become the strongest swordsmen of the land and battle with invaders on the nation’s behalf. At the other extreme of character, Condor Heroes’ antagonists include the villainess couple Chen Xuanfeng and Mao Chaofeng, also known as Iron Corpse and Copper Corpse. These titles represent their deathly hues as a result of being poisoned. 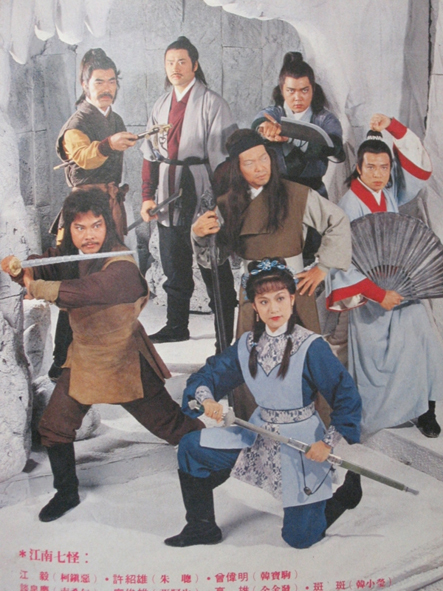 As disciples of Huang Yaoshi, they attempted to master forbidden kungfu techniques stolen from their master, but with only partial success, leaving themselves with great power, but at an immense physical cost. They invite comparisons with Star Wars’ Sith, dark warriors practicing forbidden techniques at the cost of their bodies. The most obvious similarities in story though, are the set pieces. “Empire Strikes Back” sees Luke losing a hand during his fight with Darth Vader, who himself loses a hand during his battle on Genosha. This defining monodexterity is a feature of Yang Guo, who also loses an arm, though this time to the reckless acts of his stepsister Guo Fu, whose affections he doesn’t return. Our heroes all continue to train on, and their prowess in spite of their disadvantage set them apart from the world of heroes around them. We also have the great role of the wise lunatic and hermit master. 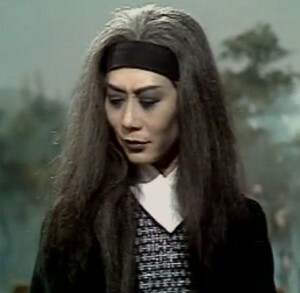 Yoda takes inspiration precisely from this trope of eastern fantasies like Condor Heroes, in which such archetypes are the staple. Take the mentally confused Ou Yangfeng (a.k.a. 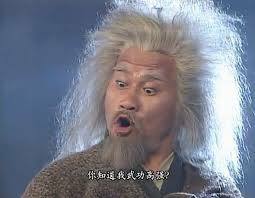 Western Venom), the childlike and playful old man Zhou Botong and the embittered and acerbic Qiu Qianren, just to name a few. Whilst both worlds focus on the demi-mystic combat, they both exist in a world facing complex political unrest. In Star Wars this is the dissolution of the Senate into a Galactic Empire, and the rebels who resist this. Whilst in Condor Heroes, a weakening Song imperial state is causing increasing social unrest in cities across the country. Jiang Hu, the separate community of martial artists, with its own internal conflicts between clans, interacts with civilian society in very tangential ways; some swordsmen acting as vigilantes, others as bounty hunters, or just bringing their sense honour into the wider world. To this point, I have written mainly about the actual content of the stories, and I’m sure that given long enough, I could come up with similar comparisons for any fantasy epic, but there is a certain cultural weight to Jin Yong’s work that extends way beyond a niche audience, and whilst “Lord of the Rings” and “The Hobbit” have become a little more mainstream thanks to the Peter Jackson trilogies, the Star Wars phenomena has always been far more present in a mainstream context. Whilst there are fans only fleetingly aware of the source material, others are absolutely ensconced in it, with its importance referenced in modern media from “Back to the Future” to ‘How I met Your Mother”. The dedicated fans, who had read through the huge libraries of spin-off books, set in that original universe, but following adventures well away from the soap opera of the Skywalkers, are now bemoaning the retcon of much loved characters by the new films. Whilst the term “Jiang Hu” has existed since the 4th century BCE, it was Jin Yong and other writers of his time who had reinvented the term as the concept we’d now call a “shared universe”. Although a certain class of educated invertebrates in China would still turn their noses up at Wuxia, Condor Heroes is well loved by Chinese people of all ages, cab drivers, office workers and academics alike. From the late 1970s, films and TV series have been adapted from the novels by each generation. Even if they haven’t read the novels, your average Chinese citizen would be familiar with the characters and commonplaces, and could share a cultural appreciation of this story, with references to heroes and villains frequently made in forum discussions and everyday conversations. As a child in Guangzhou, I listened everyday, to the novel being serialised on the radio, in a continuation of the Cantonese oral tradition. 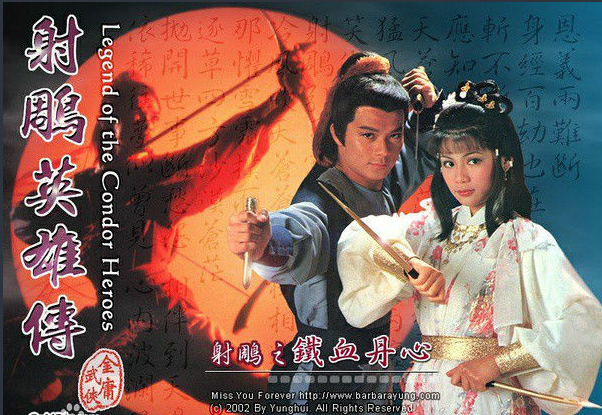 The 90s Return of the Condor Heroes TV series, which I discovered during a brief return to China, was one of the ways in which I reconnected with my heritage as a young immigrant to the UK. It became the definitive Condor series for me, and for many of my generation. It wasn’t much later, after I grew up that I revisited the stories in their original literary format. Whereas the Tolkien world was created as an academic exercise to invent an oral tradition, both Star Wars and Jin Yong’s novels were created purely to be enjoyed, deliberately drawing on a wide range of elements, aimed to move readers and be emotionally enticing. Both have achieved well-earned popularity. Whilst this piece is a minor course correction to a Western audience, it doesn’t detract from my view that the Wuxia genre is something unique and thrilling, and I wish great success to the first of these translations, “A Hero Born”, and hope that it sparks an interest in one of the most widespread genres of fiction in China. The interest in Wuxia within China has skyrocketed since its practical invention alongside 1919’s May the Fourth Movement, which culturally encouraged the celebration of the individual hero in the face of an empire. So, with that in mind. May the Fourth be with you… always.